The 2017 Kentucky Derby is set to go off this Saturday, May 6, 2017, at famed Churchill Downs in Louisville, Kentucky with a post time of 6:34 pm and the race is on NBC. Here's a list of ways you can follow to try and get rich betting on the Kentucky Derby in 2017. Before we get to the list, betting on horse racing is gambling and nothing is guaranteed in ​gambling. All money you bet on the Kentucky Derby can be lost so do not bet more than you can afford to lose. One bet that can make you rich in 2017 betting on the Kentucky Derby is the Super Hi 5 or Pentafecta. But you have to have the first five finishers in the Kentucky Derby in exact order to win the bet. If nobody correclty picks the first five finishers in the race in exact order the pool of money get carried over to the next day. Last year the Super Hi Five paid over $5,000 for each correct $1 bet. A worthy payoff but because it's not certain this bet will pay anybody this year I'm just mentioning it here and not below. To win a superfecta bet you have to have all the first four finishers in a horse race in exact order. It's not an easy bet to win but it can pay huge amounts of money for a $1 bet and can make you rich in 2017 if you hit the Kentucky Derby superfecta. In 2005, the Kentucky Derby superfecta paid $864,253.50 for each $1 winning ticket. No other bet on the 2017 Kentucky Derby can offer such a fantastic return on your money except the Super Hi 5. What's exciting about the superfecta is that the bet has paid over $90,000 for each winning $1 bet five times in the Kentucky Derby in the last 15 years. To win a trifecta bet you have to pick the first three finishers in the Kentucky Derby in exact order. An easier bet than the superfecta or the Super Hi 5 but because it's easier to win it pays less. Still, the trifecta can give you an excellent return on your money and make you rich. In 2005, the winning Kentucky Derby trifecta bet returned $133,134.80 for each winning $2 ticket. To cash a win bet ticket the horse you pick in the 2017 Kentucky Derby must win the race. The 2017 Kentucky Derby looks like a wide-open race with no big favorites and that can mean a very high-priced horse could win the race. In 1913, a horse named Donerail won the Kentucky Derby and paid a race record $184.90 for each winning $2 ticket. Three times in Kentucky Derby history a horse has paid over $100 to win and the last two times were in 2009 and 2005. To cash a place bet the horse you bet has to either win the 2017 Kentucky Derby or come in second place. 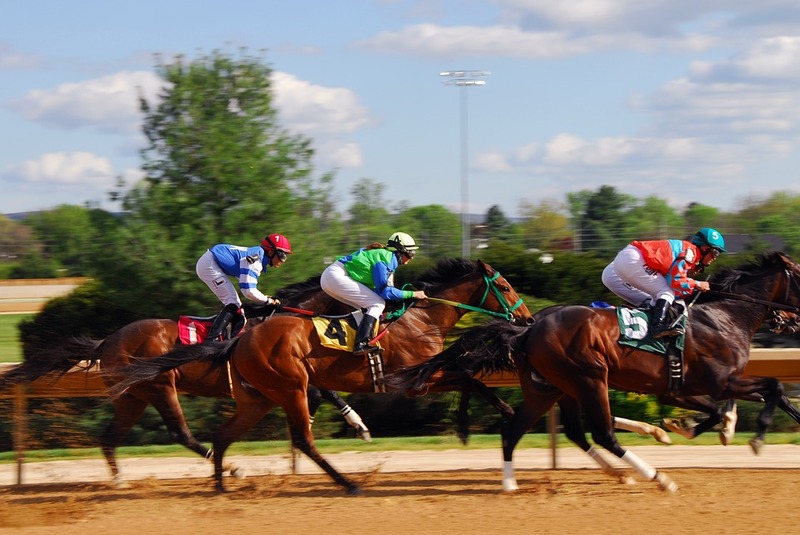 Generally, place betting is not recommended but in the Kentucky Derby it is because there are up to 20 horses in the race. In 2005, a horse named Closing Argument came in second place and paid $70.00 to place. Look over this list of the Highest Paying Place Horses in Kentucky Derby history and decide for yourself if it's worth a bet this year. To win the exacta you have to have the first two finishers in the Kentucky Derby in exact order. This fan favorite bet is much easier to win than the Super Hi 5, superfecta or trifecta is so it pays less but it can still pay off pretty good and it's not that hard to win. In 2005, the exacta paid $9,814.80 for each winning $2 bet. That is a whopping return that would make you rich if you bet enough money on it. Best of luck to all the horses and the bettors at the 2017 Kentucky Derby!